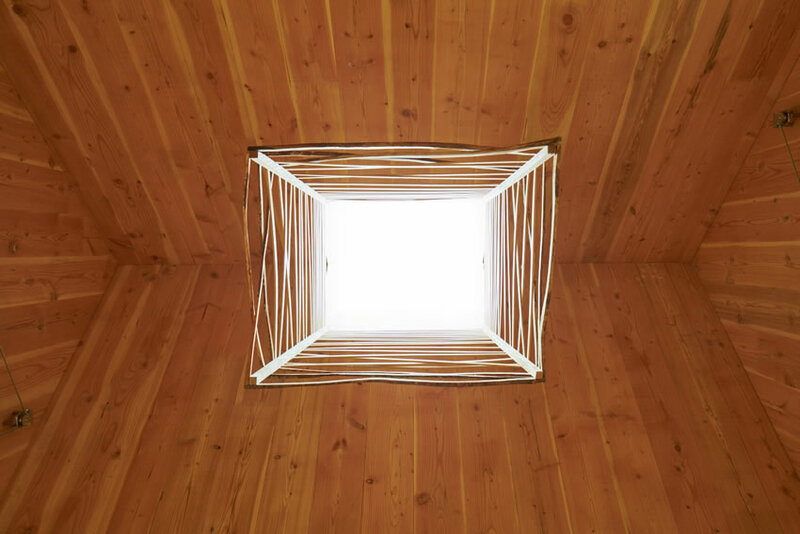 “Emerge” is a one hundred square foot structure designed to hold small gatherings of teachers and students visiting the Bauman Tree Farm. 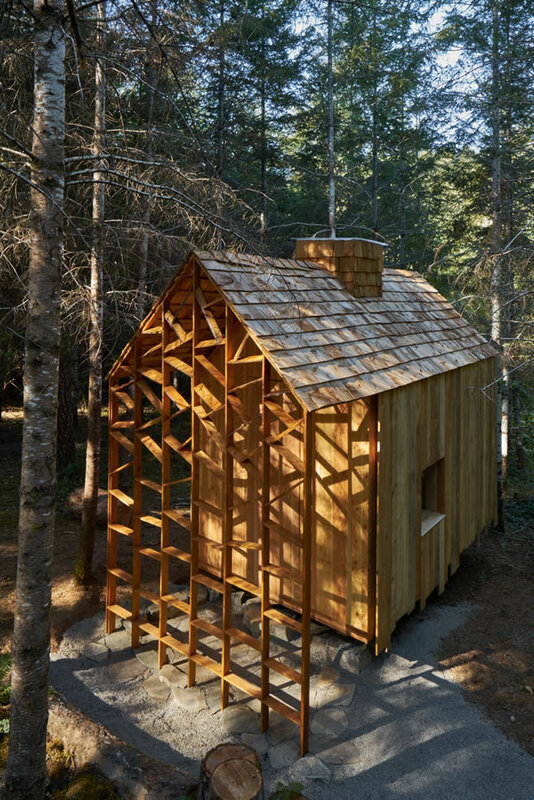 It is a collaboration between the (name withheld), the tree farm, and The DR Johnson Lumber Mill. 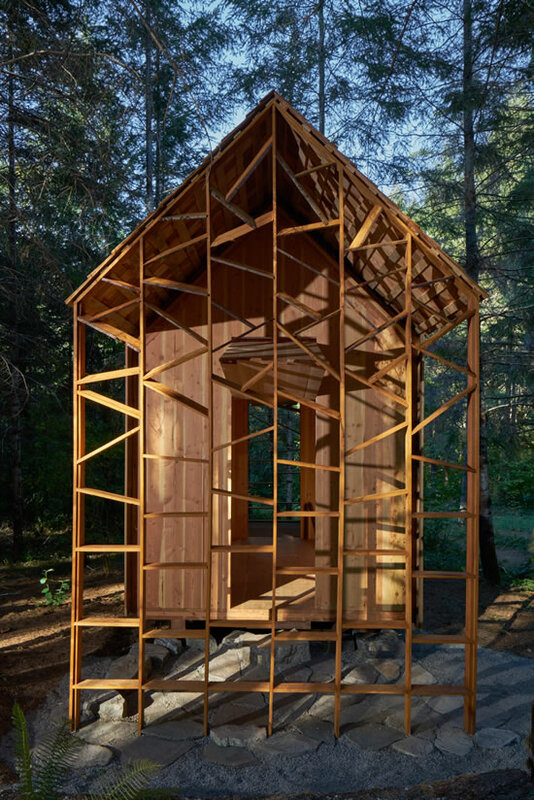 Emerge was designed to provide an aesthetic narrative that allows visitors to appreciate the project’s relationship to forestry production in the Pacific Northwest. Visitors experience this narrative in a various ways including the building’s front and back screens. 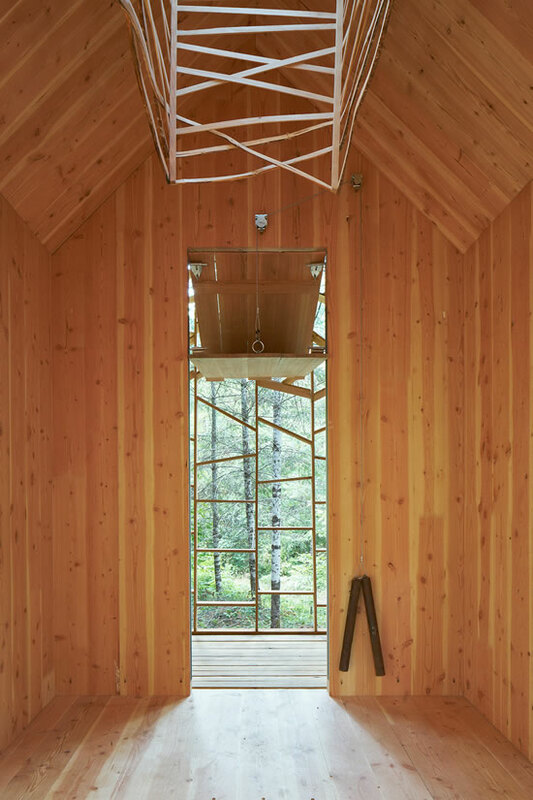 Here timber elements are arranged in an ordered pattern at the lower level but become increasingly disordered as they go up. The CLT gable ends are left exposed, protected by a screen of slats at either end of the building. These slats respond to angles of rain by gradually increasing their pitch, the higher they are on the screen. 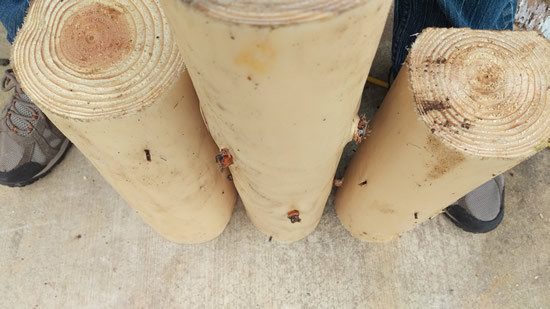 This screen describes the way dimensional lumber “emerges” from the natural environment of the forest. 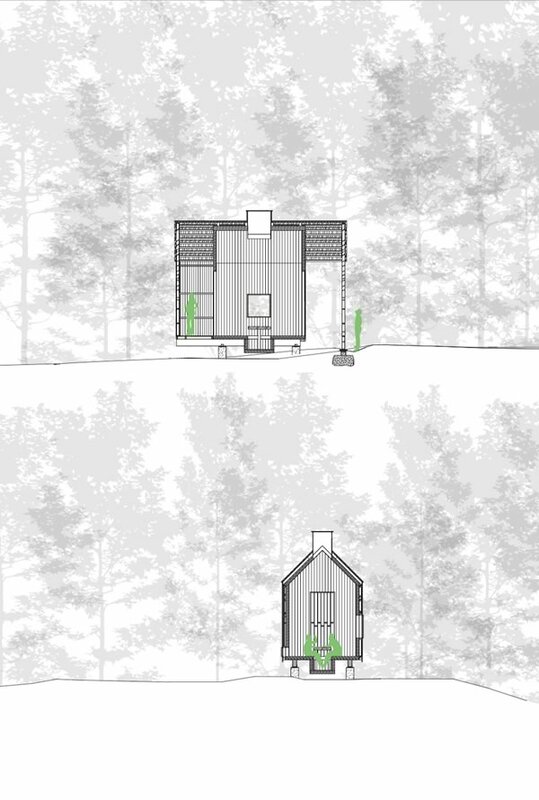 This narrative is continued on the inside where the visitor’s attention is drawn up to the roof light and to the views of the forest canopy above. 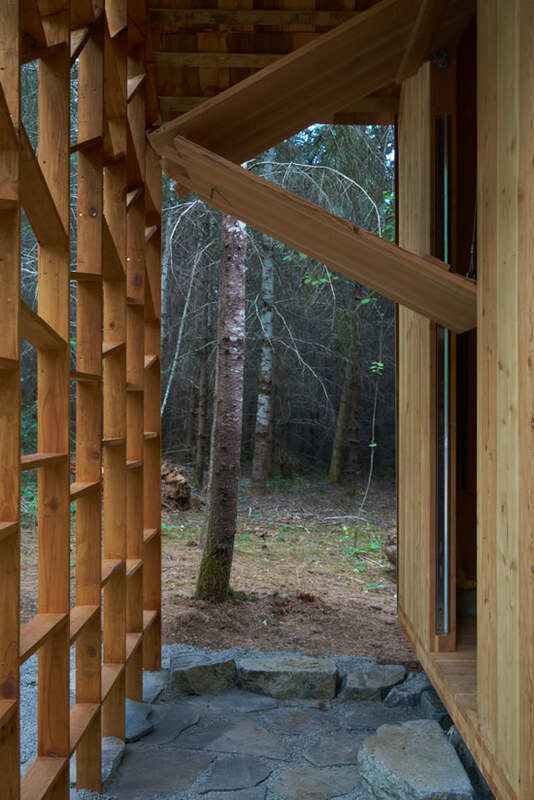 Emerge is the third in a series of five projects for the farm, which collectively demonstrate diverse uses of timber in a range of forestry settings. Each project enhances the farm’s education program through the tactile, phenomenological, and spatial qualities of architecture. 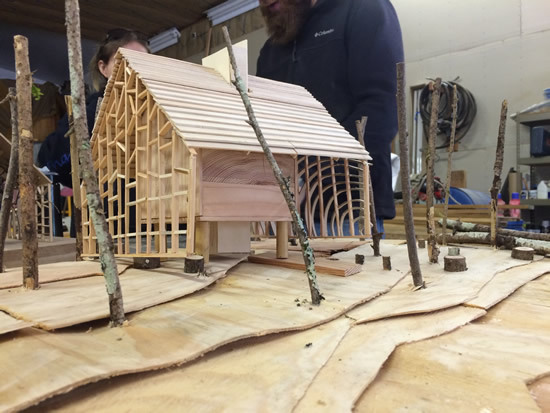 Through these projects the Bauman Farm is able to integrate the latest developments in the lumber industry with the traditions of forestry in the American Northwest.